The human voice is an engaging tool: recorded and delivered well it can be a cost effective and versatile way to reach wider audiences. Despite changes in the way we consume content, audio remains a largely underused medium. When creating content the aim is obviously to make it engaging, but it's also about making it accessible, and ensuring it can have multiple uses. Audio offers information-rich charities the opportunity to bring content to life by presenting it in a different way. We access audio while commuting, when we’re at work and when we’re doing the washing up. It allows busy people to digest news, stories and information, as well as giving access to those who don't enjoy reading and the visually impaired. BBC Radio 4 has seen large increases in 'listen again' radio being accessed through mobile devices and online throughout the day. News organisations such as The Guardian have well-established audio presences, and online magazines such as Aeon have attracted more people by also making written articles available as quality spoken audio. A 900 word article is roughly just seven minutes of audio. Greenpeace Canada has already seized the opportunity to cast a wider net, launching a high quality radio style podcast in November 2013. As of June 2014, the show has gained over 600,000 followers on Soundcloud by delivering quality storytelling, interviews and news. Oxfam has started to create audio clips as part of its campaigns, and Mind is recognising the impact personal stories told through audio can have ­– its 23 posts on Audioboo have had 500,000 listens. 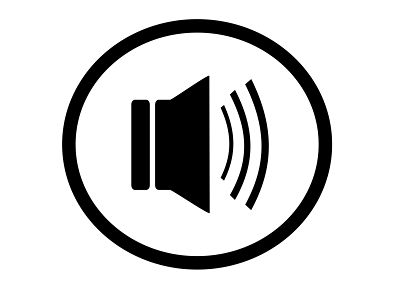 Using audio effectively is helped by platforms such as Soundcloud and Audioboo where it can be hosted instead of just being uploaded to an organisation's website. They work as search engines and feeds, meaning they show up on Google and can be linked to ITunes. They’re social media tools in their own right, but they also allow the audio to be embedded, meaning you can roll out attractive looking content on Twitter and Facebook, as well as on your site. The more places your content exists online, the wider the reach. You’ll be pointing traffic in your direction and encouraging listeners to find out more. Every time you produce a written article why not produce an audio version? When you write a lengthy annual report, include audio segments. And every time you give a talk, record it, edit it, re-present it, and turn it into a resource. When creating content, visual is the first thing people think of, yet our behaviour is showing us we are listeners too. Gary Fawle is a sound and broadcast professional and director of Events in Sound, a new company dedicated to helping businesses and organisations better engage people by using audio. Visit www.eventsinsound.com for more information or contact Gary for a chat at gary@eventsinsound.com.